Ailing electronics giant Toshiba has said its losses for 2016 may be greater than it had previously forecast. It now predicts a net loss of 995bn yen (£7bn) for the year to March, up from its earlier estimate of 950bn yen. Failure to gain an extension would have put the troubled company's stock exchange listing in further jeopardy. 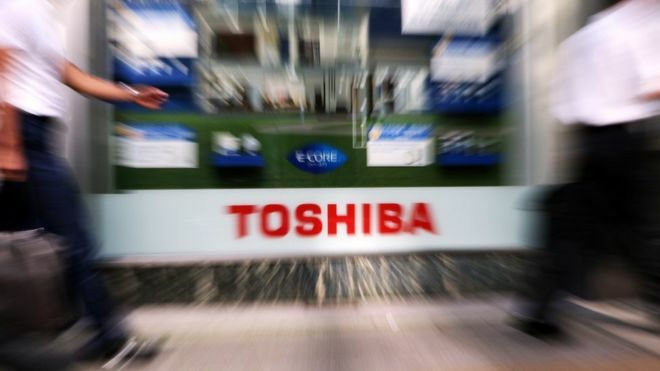 In April, Toshiba said its future may be in doubt after facing a series of difficulties. An accounting scandal that was uncovered in 2015 led to the resignation of the chief executive and several senior managers. The company was found to have inflated the previous seven years' profits by $1.2bn. The firm was dealt another blow in January when it became clear its US nuclear unit, Westinghouse, was in financial trouble. Toshibas's dire financial position has forced it to try to sell off its highly prized chip unit. The company has named a consortium of Bain Capital and Japanese government investors as the preferred bidder for the business. But US-based Western Digital, which jointly runs Toshiba's main chip operations in Japan, has filed a request with the International Court of Arbitration to stop the sale going ahead.